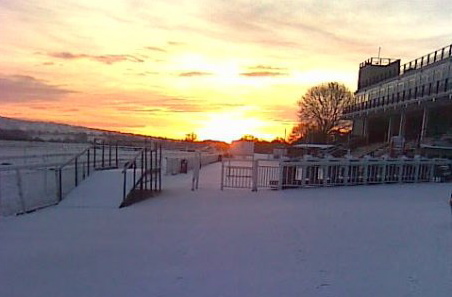 Tomorrow’s Ludlow meeting has been abandoned with an inch of snow on the course and -9 degrees last night making racing impossible. 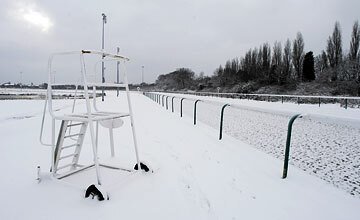 With this being Ludlow’s third consecutive meeting lost in the past few weeks, we lose the second amateur Ludlow race in a fortnight (His Royal Highness The Prince of Wales Challenge Trophy Steeplechase) having lost the AJA amateur hurdle on 21st January to snow and frost. Tomorrow’s chase is one of the highspots of the amateur jump season being a valuable feature race of the New Year and it is a great loss to our calendar. Experienced amateur jump jockey needed in USA! A unique opportunity awaits an experienced amateur jump jockey – male or female – in Maryland, USA. 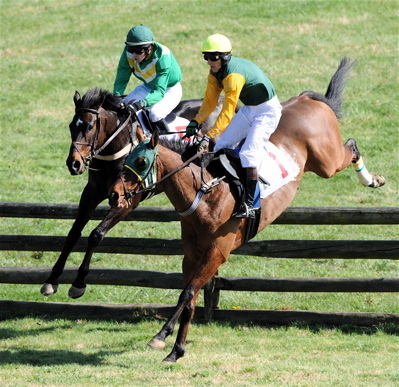 Rides are guaranteed over both timber and hurdles and could include a ride in the world famous Maryland Hunt Cup. Applicants MUST have ridden plenty of point-to-point winners and preferably also have some winners under Rules as well. Flights will be paid and a stay of about 8 weeks is offered, with hunting in March and racing in April. For further details please contact Sarah Oliver at the AJA. FEGENTRI: WOULD YOU LIKE TO REPRESENT YOUR COUNTRY? Applications are invited from all UK amateur riders to represent Great Britain and ride in the Fegentri series 2010. In 2008 both our chosen riders, Danny Cook and Gemma Gracey-Davison, were Fegentri World Vice Champions and in 2009 Claire Allen followed in Gemma’s footsteps and also achieved this status which was a tremendous achievement. (Unfortunately Ian Chanin, our 2009 Gentleman representative, was unable to complete the 2009 series through injury but still managed to take 4th place.) Both Claire and Ian are best known for their point-to-point successes and they both rode their first Flat winners abroad and thoroughly enjoyed the whole Fegentri experience. Danny and Gemma have now turned professional but regard their unique experiences with Fegentri as greatly beneficial to their future careers. All ladies Fegentri races are on the Flat but the gentlemen’s races include a few over hurdles and fences so lads must have some jump wins under their belts, preferably under Rules. You will need an understanding guv’nor and strong home support as Fegentri demands regular weekend trips abroad. All thoughts of turning professional will have to wait until the end of the Fegentri season (October for men, December for ladies). You must have 5 wins under Rules to your credit but consideration will be given to Point-to-Point and Arab wins. You must be able to do 9 stone for ladies and 10 stone for lads. All expenses will be met by the AJA. If you think Fegentri is something that you would enjoy and would like to be considered, please complete the Fegentri application form below and return it to the AJA. You can also contact Sarah Oliver with any queries by e-mailing sph.oliver@btinternet.com or calling 01886 884488. Application forms have been posted out to all AJA members so that those without internet access will not be ignored. All applicants will be kept on file for consideration for all future invitation races and also for future representation. Applications for 2010 close on 31st January.